Installing a new trolling motor on your boat is a relatively simple process, but you need to have the right equipment and parts. Below is a list of the parts that are included with your trolling motor and other parts (recommended and required) that you will need for installation. Batteries - Between one & three 12v batteries, depending on the voltage of the trolling motor. See our battery selection guide. Terminal Ends - You'll need these - or some other type of battery connectors - to attach the terminal ends on the motor power leads to your battery. 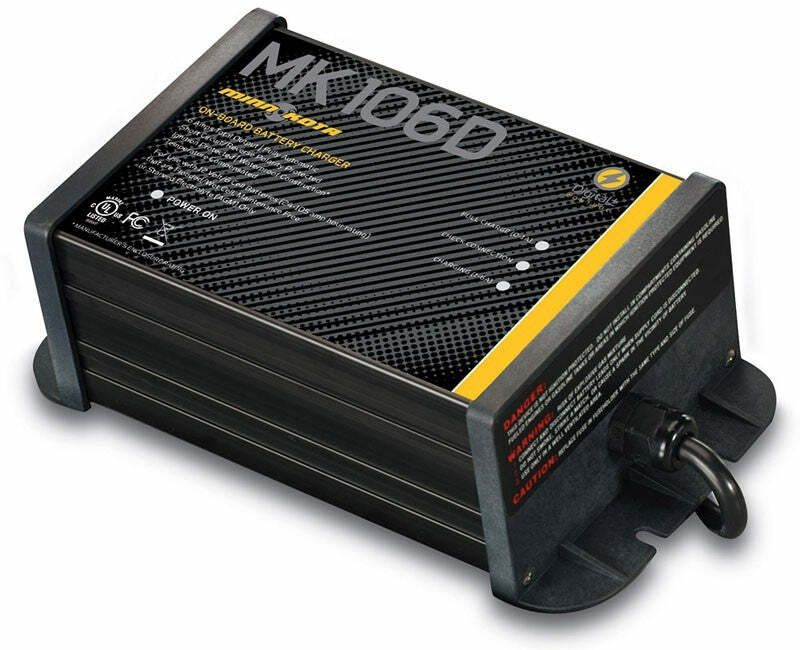 Battery Charger - To refresh your trolling motor batteries after use. To learn about the different types of charges, see our charger page. Jumper Wire - If you have a 24v or 36v trolling motor you will need short lengths of wire to connect your trolling motor batteries in series. Make sure to buy the same guage of wire as the rest of your trolling system and see our battery wiring diagrams for specific wiring directions. 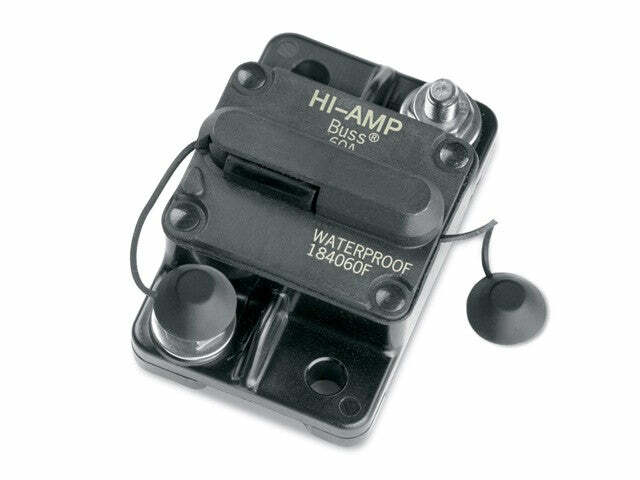 Circuit Breaker - Protects your trolling motor in the event that the prop becomes caught on an underwater obstacle. 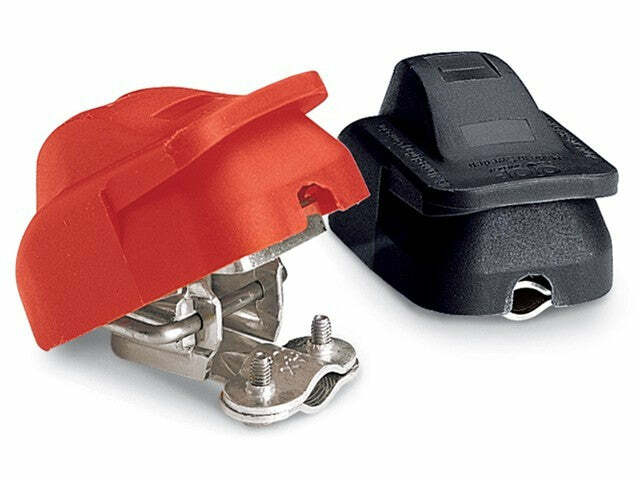 Trolling Motor Plug & Receptacle - Allows for a quick disconnect of trolling motor wiring which is recommended during charging. 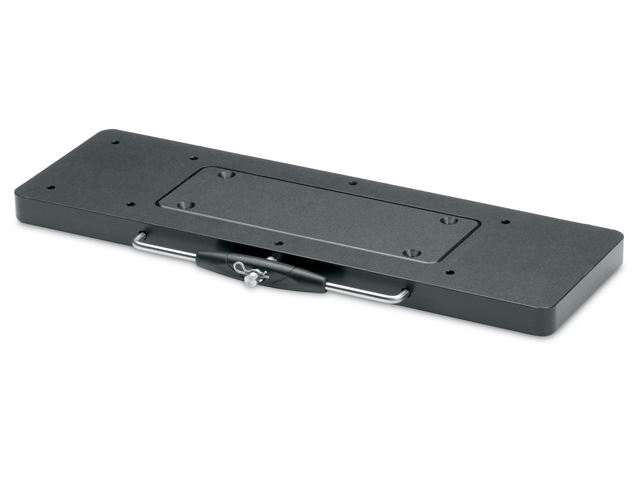 Quick Release Plate - For easy removal of your bow-mount trolling motor, whether for service, storage, trailering, family days, or boat cover. Extension Wiring - Since the power leads on trolling motors are only 3-5 feet, some installations will require additional lengths of wire to reach the batteries. Measure the distance from the trolling motor mounting location to the batteries and determine the length of wire needed. Once you have measured the length, see our rules for extending wiring to determine what guage of wire you should use. Once you have the required parts for the installation, you will want to be sure that the trolling motor is wired properly to the batteries. To do this, identify the positive (red) and negative (black) power leads and attach the leads properly to the battery. 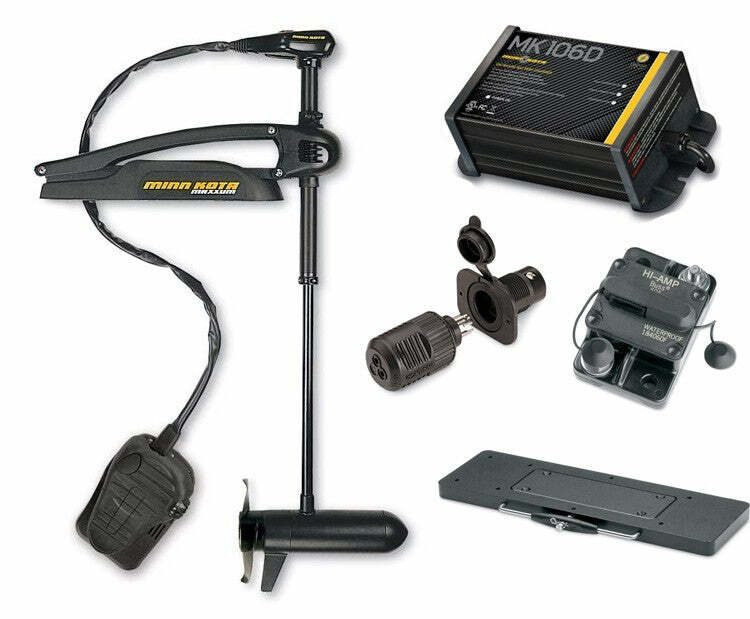 The positive leads of a 12v trolling motor system (usually trolling motors with 55lbs of thrust or less) will attach to the positive battery terminal, while the negative lead will attach to the negative terminal. If you have a 24v or 36v trolling motor system you will need to attach multiple batteries in series. Please see our 24v and 36v wiring diagram for instructions.